Engineered wood flooring is created by combining multiple thin layers of wood and securing them together, making for an extremely resilient flooring material that can withstand years of wear and tear. Most manufacturers of this resilient flooring produce their products so that they can either be glued down or floated, and each installation method offers its own advantages and disadvantages. 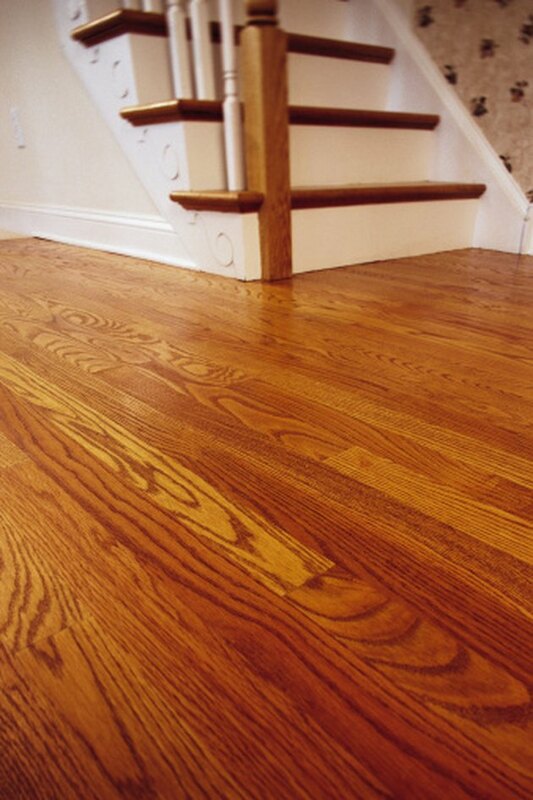 Engineered flooring is best installed with glue or floated over the subfloor. The glue-down method of installing flooring is the most commonly used method for engineered wood planks, especially when installed over a concrete subfloor. This flooring method is highly stable, and if it's glued down correctly, you will not experience problems with gaps or boards lifting out of place. The glue allows little to no movement in the final installation. It is quiet compared to hardwood or engineered wood installations that use fasteners such as staples or nails; most creaking wood floors make noise as a result of the wood rubbing against loose fasteners. Glue-down installations are generally not recommended for amateurs or do-it-yourselfers, which is a huge disadvantage for many homeowners. Improper subfloor preparation before a glue-down installation results in gapping, popping or uneven floorboards that can cause serious injury or develop moisture issues. The floor must be completely clean, flat and dry before installing, or else the glue-down method will almost surely fail. Similarly, you must use an adhesive that is natorally compatible with the flooring from the manufacturer you choose; otherwise, it will not bond correctly, leading to similar problems. Floating-engineered floors offer the most user-friendly method of installation, which allows for nearly anyone to be successful with it. The boards are connected to each other by glue or by tongues and grooves, then simply laid over the subsurface. This means that the condition of the subfloor has little effect on the success of the installation. It also allows for expansion and contraction of the boards as a single unit, rather than each board expanding and contracting on its own, which can lead to gapping and similar troubles. The free-floating floors do require an extra step in the installation process: the installation of underlayment. This protects the boards from most moisture from the subfloor. Underlayment products vary by manufacturer's recommendations, and range in material from foam to plastic. Though it requires this extra step, this underlayment is the surest way to guarantee a safe floating floor.